www.fullkorea.com: Let America deal the Invasion into Korea by Japan in their textbook. 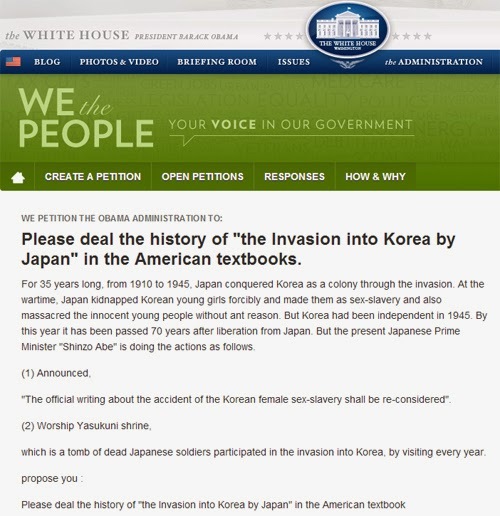 Let America deal the Invasion into Korea by Japan in their textbook. never did official apology for Korea. Let's leave our signature at the White House of America. We have to be authorized to blame the weak Korea Government. And, please deliver the message to your Facebook/ Twitter / Blogs. Korea is facing at the moment on the international crisis. We have to block Japanese tricks.